New York City. Meet Finnigan, ethically challenged master-thief, and his partners in crime Mullins and Brantley, as they rob the mysterious Harker foundation. But as the job turns into a narrow escape from the FBI, Finn encounters TAO, a young Chinese boy with the uncanny gift of second sight, and stumbles upon a mysterious and ancient silver bar. Finnegan's world will never be the same. 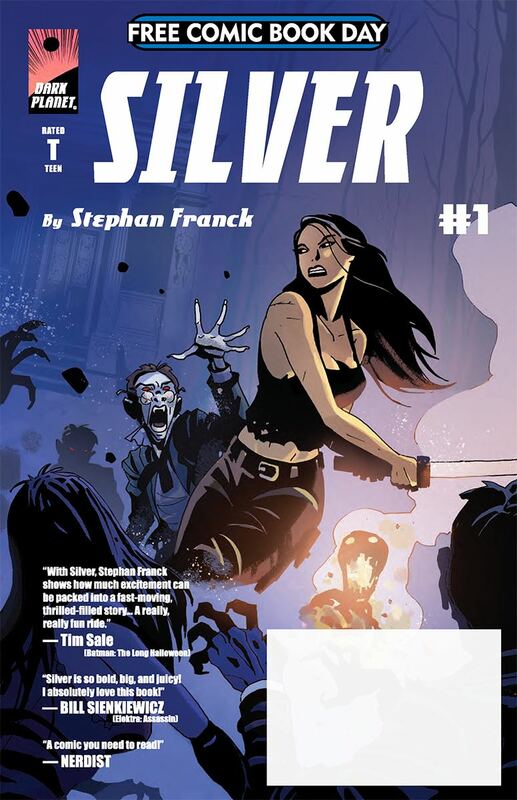 A high-concept genre-blender spun out of Bram Stoker's literary classic Dracula, Silver follows the adventures of witty pulp-era conmen James Finnigan; Rosalynd "Sledge" Van Helsing, granddaughter of the famous professor, hard-case vampire-hunter, and last of the Van Helsings; Tao Leu, a young boy who can see the future-just not his own- and their band of talented but troubled grifters, as they attempt to steal a mystical treasure from a castle full of vampires. Full of wits, heart, and wild pulp excitement, Silver pits its lovable but morally-challenged characters against the nihilistic undead, while lifting the veil on its original universe: a secret world of vampires full of gothic drama, intrigue, and epic adventure.